UPDATE: On Day 2, “shwyacky” successfully guessed the password! The password was “climaclysm” and this contest is officially over. Thanks to everyone who participated! Congratulations! 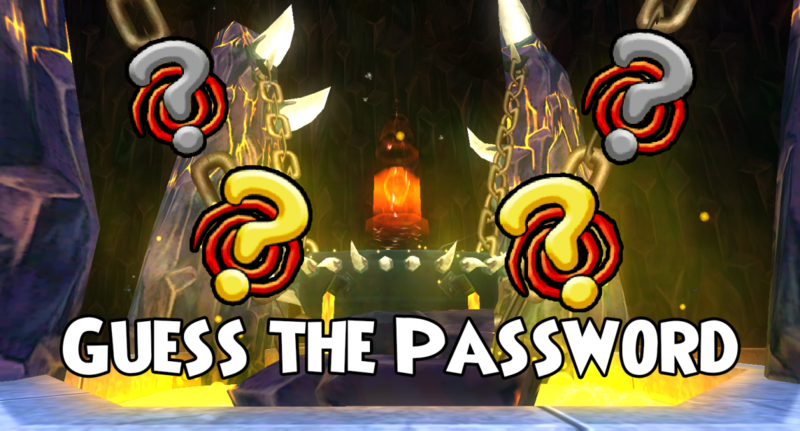 You have successfully guessed the password. Hurry! The first person to redeem the code “C626DQLL6858R3M8L833”, will receive 10,000 Crowns! This code is only valid for the KingsIsle version of Wizard101. This code cannot be used on the Steam client, it must be redeemed at Wizard101.com/promo. NextBeyond the Spiral – Episode 2: Flat. Stats.